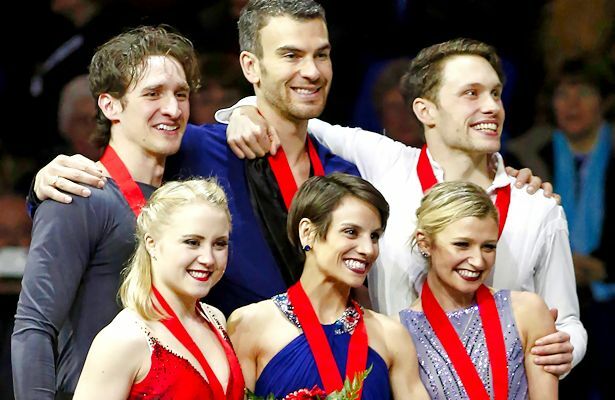 Meagan Duhamel and Eric Radford were glorious before their home country skating to Adele’s “Hometown Glory” to snare a seventh Canadian title in their final appearance at nationals. With strong performances in the short and long programs – the only noticeable error being Duhamel’s fall on the throw quadruple Salchow – the two-time world champions accrued 234.55 total points at the Doug Mitchell Thunderbird Sports Centre in Vancouver. “For me, inside, it was more treacherous and it wasn’t as zen as the short program felt,” Radford reflected on the resurrected Adele program which the team swapped in following last month’s Grand Prix Final. Julianne Séguin and Charlie Bilodeau claimed the silver medal with 213 total points bolstered by an outstanding free skate to “Where’s My Love” by Syml that featured a throw triple loop towards the program’s end. Kirsten Moore-Towers and Michael Marinaro vindicated three years of national competitions on the fringe of the top Canadian pairs with a superb free program skate to “Un Ange Passe” by Alaine Lefevre punctuated by two sturdy throw jumps. The duo garnered 209.85 points overall. For the first time in their career, Lubov Ilyushechkina and Dylan Moscovitch landed off the Canadian national podium after difficult performances in both the short and free programs that resulted in 190.53 total points. In their “Billy Vera & The Beaters” free program, Moscovitch stepped out of the side-by-side triple toe loop and Ilyushechkina fell on the throw triple Lutz.